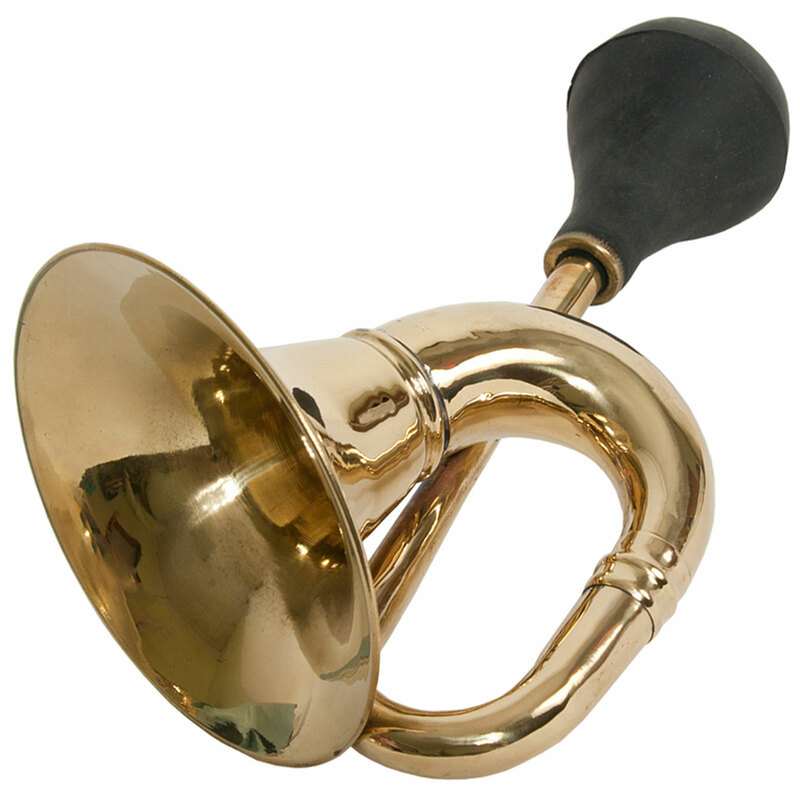 DOBANI 15 Inch Bulb Horn Large Oval Brass & Reed. 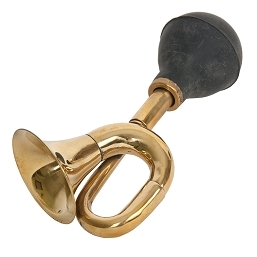 6 1/2" bell, 15" length. 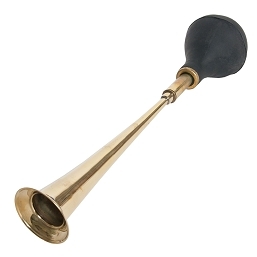 Brass bulb horn with removable reed and bulb. Uses a bulb with a 5/8 inch fitting. 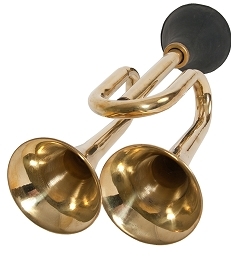 You should expect your brass instruments to have, or develop, an attractive antique patina. 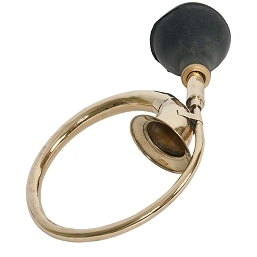 However, if you prefer the high shine look we recommend Brasso as a good polish.